Twin RGB LED cobble units that can change colour on the fly. Finished in white. 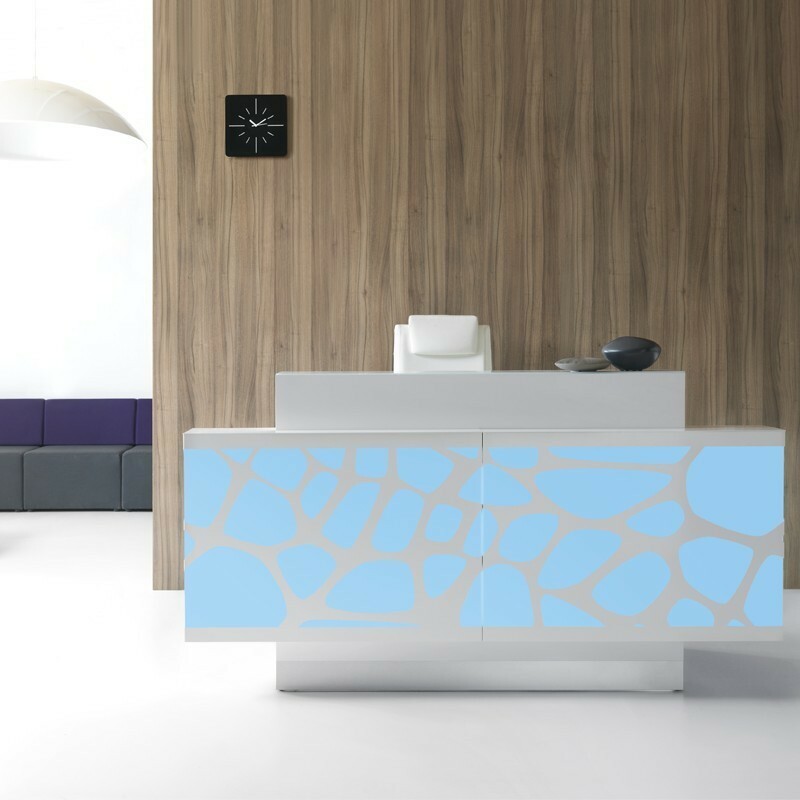 The G8 Light range of reception counters feature an intrisicate cobble pattern that uses RGB LED lighting that is configurable for any colour. Has a twin RGB LED cobble unit that can change colour on the fly. Finished in white.